Doug is the “Master Scraper”. He runs two nuclear powered computers, 24/7 from deep underground in Melbourne, Australia. Seriously, though, Doug tracks almost all expired domains constantly and then hands raw lists to the VAs. We talked a lot about hiring VAs on UpWork in the last post. We’ve taken all our VAs and coders and put them on an island just like in Lost. (Steve has taken on the roles of John Locke, Jacob and the Monster). The VAs go through a specialized video and hands-on training to start weeding out bad domains and then “clearing” others in the PBNHQ system where they go into a queue. I’m Ken. I get go over the domains that are in the queue and check for link history, snapshots, re-directs, number of drops, spam of all sorts. I’m like the Hunchback of Notre Dame and I’m in my clock tower ringing that domain bell every hour! (Ok, not every hour but several times per week). Bottom Line: If a bad domain slips by…it’s my fault. Blame me but be mean to Steve and Doug. So, after all that process and with so many “hands on deck” we queried everyone that was involved and came up with this list of lessons learned and trends. Stats are Stats are Stats: Majestic. Moz. Ahrefs. People love their stats and everyone has a favorite. MOST people are still in the Majestic camp, I’d say from what I’ve seen. Even though TF and CF continues to yo-yo all around. (To me this is a sign of inaccuracy in the algo and NOT a “refinement”). There are lots of Moz lovers too, and DA stacking and some correlation to Top 10s in the SERPS to high DA is a good reason why. Honestly, our favorite currently is Ahrefs and we have found (and Ahrefs has shown) that they have the best correlation between UR/DR and SERPS. Lastly, something that Steve mentally bashed into me at the beginning of my employ here is that “if you’re taking anyone’s word for how strong a domain and not doing your own breakdown of referring domains and testing them then you deserve to be wrong”. Well, blah to you, Steve! He was right, though, once I started scraping for my own domains as training for work here and using Domain Ronin, I was amazed at how many low stats were given to strong domains. Plus, the MOZ spam score indicator is so obtuse, man. I wonder how many people that simple score scares people away from truly good domains. We list all sorts of stats on the marketplace to go along with each domain we sell. This includes: TF, CF, DA, PA, RD and LRD as well as anchors and titles. What we’ve found out was this: People don’t know where or how to look for the stats on their own. They don’t understand, for instance, that Majestic has 4 different domain variations to check: “Root”, “Sub”, “Path” and “URL”. Check out or Knowledge Base Help Area for definitions. In many cases, people will use a 3rd party data tool and get totally off the wall info and stats. In most cases, though, they just don’t know where to look. However, despite all of the accusations of “Hey many, you guys are lying and selling fake data”, we are slowly but surely educating the masses. Doug likes to harp on the fact that just because a domain and its archive content is in another language doesn’t make it a bad domain. In fact, some of them are really strong. The problem lies with what people are most comfortable with. If a person sees, for instance, a music domain in the marketplace and then immediately see that it’s in German or Polish they immediately shy away. I found one that no one wanted due to a low TF (see my first point here) and that was in German and was, at one time, one of the very first modern techno bands that were successful. Great back links. Clean history. The domain is still sitting there today. Rebuild it in the original language. Rebuild it any language you like. I come down on the re-build in the original language, though. I just think it looks more natural under scrutiny if you kept everything as consistent as possible. We can always tell when domain registrars are having sales! LOL. When Namecheap starts offering .info and .us domains for 88 cent registration, they fly off the shelves. That’s a good tip, too. Even if you’re not keen on those types of domains you can get a bunch of them for rock bottom prices, build a simple PBN and use in tier 3 strategy. I like to use those to link to Web 2.0s and social profiles. Yup. For all of the people who claim that PBNs are dead, there sure is still a helluva’ lot of demand. Lots and lots of people are looking and snatching up all kinds of domains. People are using Domain Ronin to find domains that they then register and put up for auction and are making a killing on. Or they’re using it for their own powerful PBN. Bottom Line – Up Front: PBNs work. And they work right now. Are you using them to your advantage? We’ll be here when you need us. We’ll keep providing all those domains (gajillions…haha, snuck another one in!) and answering your questions as well as giving you the best advice possible on the current state of PBNs. No matter what happens when you’re selling domains, it’s important that people get what they’re expecting to get. We make it a point to have as solid as a refund policy as we can. 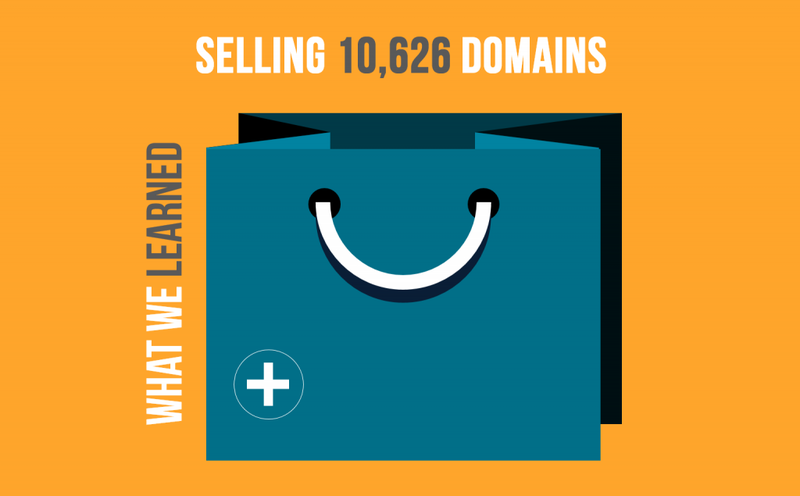 In most cases it’s a matter of knowledge but in the event that the domains that we sold/sell is not as promised then we happily refund the purchase. We want to avoid PayPal situations and we’re dang nice guys, so before threatening us… give us a go. Thanks for being with us in 2016…and now, to Beyond!